Dry Sludge Silo 200 m3 with discharge equipment, top rotor and splash protection device. 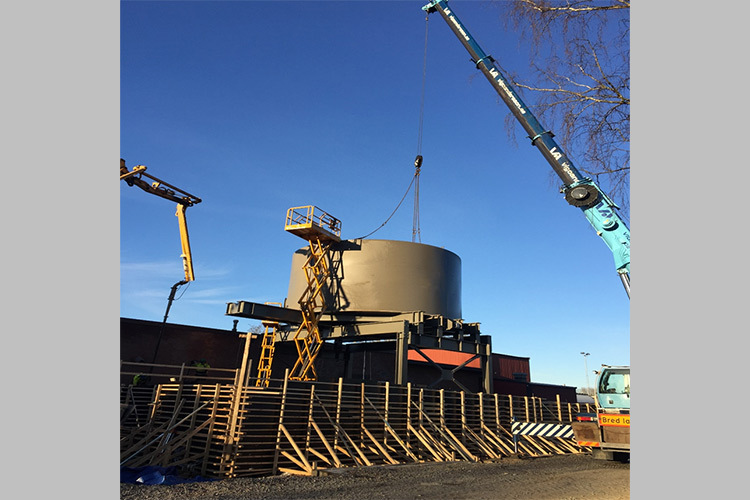 Saxwerk delivered in 2016 a new dry sludge silo for the Eskilstuna plant, in Sweden. Saxwerk has delivered, installed and commissioning sludge silo consisting of a steel silo, sliding frame, discharge screw, top rotor and a splash protection device. The system unload sludge to a lorry under the silo.